When I first began this journey to live a zero waste lifestyle, although there always seemed to be a list of tasks that I would end up doing; I wish there was a list of things I needed to do in sequential order. There was a lot of backtracking as well as re-organizing when it came down to the sequence in which I should have gone about starting this journey. Because this journey also is adjusted to each person’s lifestyle, my system was not refined for a couple of months. I still wished someone could have informed me about what to do first verses my assumption that the first task was to get rid of all products packaged in plastic. Begin by making bags from old bed sheets and extra rope/shoelace. These bags can be different sizes. I made mine into 2 different sizes. Take those bags and weigh them at a store so you can record the tare weight onto each bag. If you narrow down your bags sizes, it’s easier to input the tare the weight and when you shop and you won’t be fluctuating between a variety of numbers. It will be easier on you and the cashier as well. These bags will also become useful once you start cleaning out your life. Since you’ll most likely be donating or eliminating items from your life, the areas that you’re cleaning out will most likely need something to separate your items in. And these bags will also help in the beginning of your journey into bulk shopping (which takes care of that pesky task of eating to survive). Sort out your products that are contained in plastic or wasteful packaging. It’s easier to separate products by room and by use, so go slowly. Then go through and reduce the amount of products. If you can’t eliminate a product completely, you know that the next tasks is to find an alternative; that alternative also needs to be a zero waste alternative. Unfortunately, that’s also one of the tricky tasks during this journey. Some people may need certain products due to medical reasons or health conditions, so these products take a little bit more time to eliminate and more research as well. Make sure you choose the best solution for yourself. Invest in jars. I invested in Bormioli Rocco Fido jars as well as Mason jars. These jars will help you organize your items that need a more sturdy container as well as assist you on your journey in bulk shopping. Food packaging is one of the most wasteful habits we have adapted to, so by investing in these jars, you’re already preparing yourself to take care of the easiest problem. Also, when you start bringing these jars to the grocery store, make sure you ask the cashier to tare the weight before you fill it. For the Mason jars, I actually carve the tare weight into the lid and for the Bormioli Rocco Fido jars, I write the tare weight on the gasket rim so that the cashier can see the tare weight through the lid. Go to the local bulk grocery stores near you and find what’s available in their bulk section. Check out what they sell in their bath and body bulk section as well as the bulk food area. By doing this, you can create a list of ingredients and products that you know are available to you. In time, you’ll notice that perhaps items that you thought you wouldn’t be able to let go of, you can. This process of eliminating and reducing the amount of items in your life changes the way you approach possessions as well as products. It will take time, so be patient with yourself- but always strive to be completely zero waste. With all of the bulk items you’re going to buy, I very much suggest starting a compost. If you don’t have enough land to start a compost, look into city programs that may offer something similar. You can even search for local businesses that might be willing to take your compost or buy it. Opt out of junk mail and use the mail pieces that do get through as scratch paper. This is an easy task. I used Catalog Choice and Direct Marketing Association Choice which offer a mail preference service for consumers. Granted, the list of magazines and newsletters I have opted out of on both of my accounts are not short. I had to input quite a bit of organizations and businesses, but it’s well worth it in the end. I hope this list helps those of you who are starting out on your own zero waste life journey. I know it wasn’t a simple and short type of list, where I only listed tasks to do in a bullet point format. 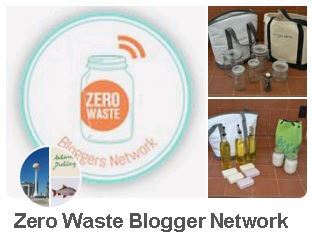 I wanted to explain why I chose these seven items to anchor the beginning of the journey for zero waste newbies. Good luck to all and if you have any questions, please email me, my email is in my about section of this website. Also if you want to see what items I have purchased, please check out my store link. That’s great that you reuse jars! I was always recycled mine so I didn’t have many to reuse, but I have kept some that would be great for storing liquids. I agree that charity shops are a great resource to seek out reusable jars. I think I became a more competent user of a sewing machine because I started sewing bags. I always hand sewn items before, but sewing that many bags was going to take me a very long time to finish.